Our Conference will, once again, be at The Hayes, Swanwick, Derbyshire. All the speakers are confirmed, and most of the speaker profiles and workshop details are now available (see below). Please download copies of the Conference Poster, the Booking Form, and the Conference Programme and book your place. You can also access links to the Hayes Conference Centre and Travel Details here. As well as being very rewarding, both professionally and personally, attending the AHPCC Annual Conference is also a very effective way to gain most of the annual CPD points required by the UKBHC. 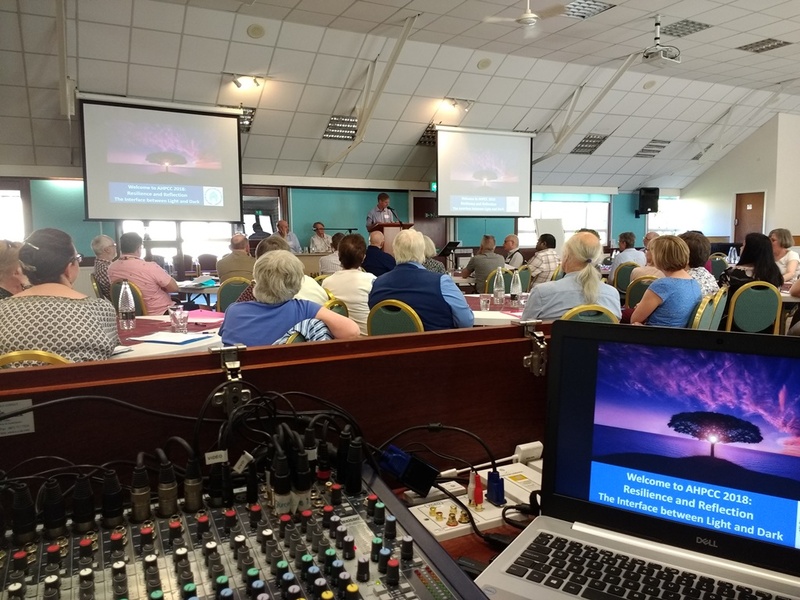 The conference always offers professionally relevant training – this year’s conference is strongly geared to the current issues that we are facing within chaplaincy. As Karen’s latest letter says, we’ve had to increase the price this year – the first since 2012 – but we still believe the conference offers excellent value considering the quality of the speakers and full board accommodation. Karen’s introductory presentation,’Setting the Scene’ will start the Conference with a discussion on this year’s conference themes. She will be holding the ‘New Chaplains’ Workshop’ informally on Tuesday evening, after dinner, venue tbc. 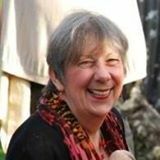 After a career in health, palliative care, training and facilitation, all Hermione’s interests and experience came together as she developed the End of Life Doula Training Programme in the UK. She established Living Well Dying Well as a not-for-profit training organisation, in 2011, to further this work. She remains passionate about engaging with others to encourage them to become more informed and confident about being with death and dying – recognising it not as something to fear, but as a natural and normal part of life. Hermione’s presentation, on day two of the conference is titled ‘Doing death differently in the 21st Century: a citizen-led approach.’ She will follow this up with an experiential workshop, ‘A Conversation with Life and Death’, using imagery and art to help us get ‘up close and personal’ with death. Fr. 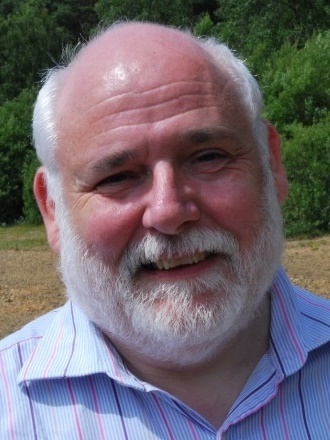 Simon Evers, Chair of the European Network of Healthcare Chaplaincy (ENHCC). Simon Evers was elected as ENHCC Co-ordinator at the Network’s 14th Consultation in Debrecen in 2016. He has also chaired the European Research Institute for Chaplains in HealthCare (ERICH) since 2017, and was President of the Dutch Association of Professional Spiritual Caregivers from 2010 to 2016. Simon was born in 1959. From 1979 until 2001 he was a Benedictine of St Andrew’s Abbey in Bruges, where he was ordained priest in 1988. Simon studied philosophy and theology in both Bruges and Rome, specialising in monastic theology, ethics and palliative care. He became a Roman Catholic healthcare chaplain in 1992, and has worked since 1996 in Amsterdam’s OLVG general hospital. He is now also a priest in the Haarlem-Amsterdam Diocese. Simon’s presentation, on day two, is ‘Euthanasia and the challenges for a chaplain in Europe’, and he will also lead a related workshop, ‘The role of a chaplain when a person asks for euthanasia’. Revd Dr Jonathan Pye, Hon Research Fellow in Medical Ethics, Bristol University. 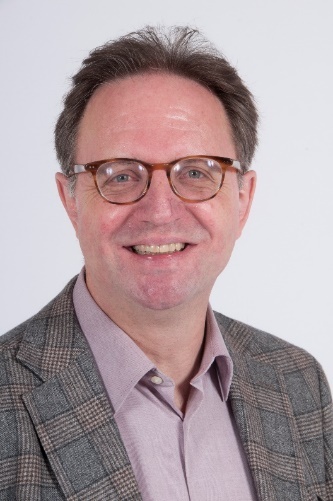 Revd Dr Jonathan H Pye is the Chair of the Bristol District of the Methodist Church and Honorary Research Fellow in the Centre for Ethics in Medicine / Research Associate in the School of Social and Community Medicine, University of Bristol. He was formerly lead Tutor on the Healthcare route in the Centre for Chaplaincy Studies, University of Cardiff, having co-written the first MA in Heathcare Chaplaincy in the University of Leeds in the 1990s, where he also taught in the Medical School. Jonathan is an experienced former Healthcare Chaplain and has written and lectured widely both in the UK and abroad. Revd Sarah Sewell, Chaplaincy Forum for Pastoral, Spiritual and Religious Care in Health. Sarah was chair of the Chaplaincy Leadership Forum, which was one of the bodies instrumental in unifying healthcare chaplaincy throughout the UK, working towards the registration of Chaplaincy as a healthcare profession. Sarah was born and brought up in Plymouth and before her ordination worked as a Nursery Nurse on a Special Care Baby Unit and then as a Police Officer in the Devon and Cornwall Constabulary for seven years. Sarah was ordained deacon in the Church of England in 1991 and served her title as a curate in Coventry, where she was ordained priest in 1994, in Coventry Cathedral, one of the first women to be ordained priest in the Church of England. 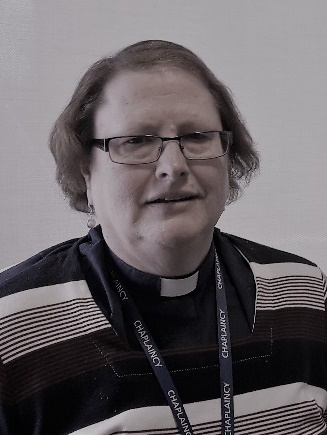 Sarah then went to Plymouth to be an Assistant Chaplain in the acute trust and then to Stoke Mandeville Hospital in 1996 as Head of Chaplaincy Services. From there Sarah became Chaplain at the Royal Marsden Hospital in 2001 and then in 2005, Lead Chaplain in Epsom and St. Helier University Hospitals. She is now the Lead Chaplain for Oxford University Hospitals NHS Foundation Trust. 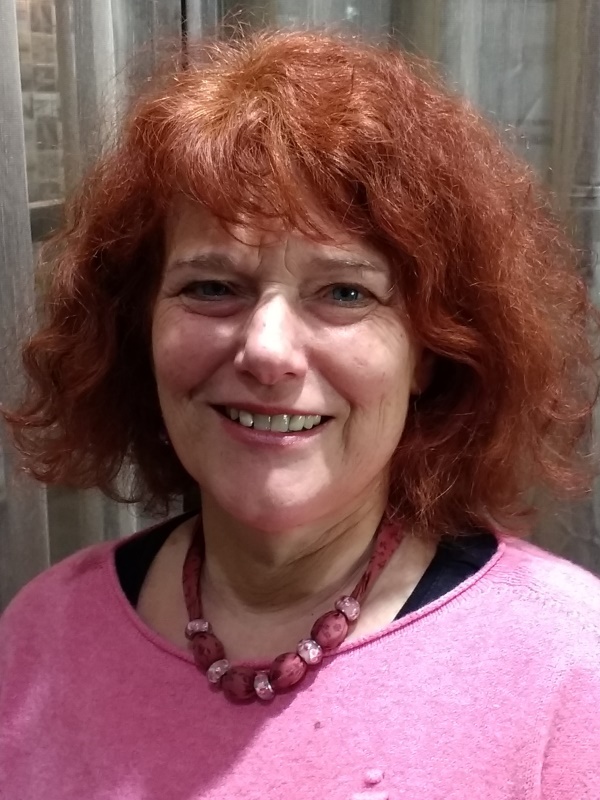 Sarah was a Regional Rep with CHCC for a number of years, and for the last 2½ years chaired the Chaplaincy Leadership Forum / Chaplaincy Forum for Pastoral, Spiritual and Religious Care in Health, from which she has just stood down. Sarah’s special areas of interest are palliative care, miscarriage, termination for fetal abnormality and neonatal deaths. Austyn will be giving the AGM Presentation, ‘Measuring the impact of chaplaincy in healthcare: ‘Year of the PROM’ update’, and a workshop, ‘Measuring the impact of chaplaincy in Hospice day care: how to take part’. Conor Carville has a particular interest in Irish writing since 1800, particularly Yeats, Joyce and Beckett, and has published works on contemporary Irish poetry. He is currently writing a book about Samuel Beckett’s interest in the visual arts. This workshop will explore how writers have engaged with the question of care and the experience of death, with a view to enabling workshop participants to produce their own short creative pieces. 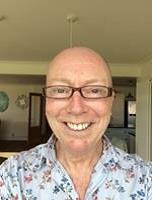 Keith Munnings has worked as a Buddhist Chaplain for over twelve years in acute healthcare trusts, both in the West Midlands and in the North-West. He is chairman of the Buddhist Healthcare Chaplaincy Trust, the endorsing body for Buddhist Healthcare Chaplains and a charitable trust committed to promoting Buddhist Healthcare Chaplaincy.